On March 24, 2017 the Redkoles’ family from Woolwich, NJ lost their home in a devastating house fire. The family, Paul and Shana along with their two children, Scarlett and Madden aged 6 and 3 at the time, lost everything they owned. They had a lot of support from family, friends and the community to get through this disaster. They have often said they saw the true goodness of people during the whole ordeal. One particular family has a special place in the Redkoles’ heart. When Jake and Luke Strong of Medford Lakes, NJ heard about the fire from their mom, Mary Jean, a co-worker of Shana’s sister, they immediately decided they were going to do something to help. Jake is a magician and had met the Redkoles family while performing at a birthday party a few months earlier. Jake decided he would set up a magic show fundraiser and donate all the proceeds to the Redkoles family. With Luke’s organization and advertising help, Jake and Luke set up a show for June, just three months after the fire. It was a huge undertaking but no matter what roadblock or obstacle the boys faced such as logistics, insurance or choosing a date, they persevered with a determination to make the night not only happen, but be a success. Gathered in the gym of Neeta School in Medford Lakes, the boys welcomed about 100 people to watch Jake perform. As usual, Jake put on an astonishing display of magical feats that left the crowd perplexed and mesmerized. With the support of Luke and their parents, Mary Jean and Scott, the show went on without a hitch. The boys raised a total of $2,500 which completely surpassed their expectations. Shana and Paul decided to allot the money to a swing-set. Sixteen months later, on Aug. 18, 2018 the Redkoles moved into their rebuilt home. 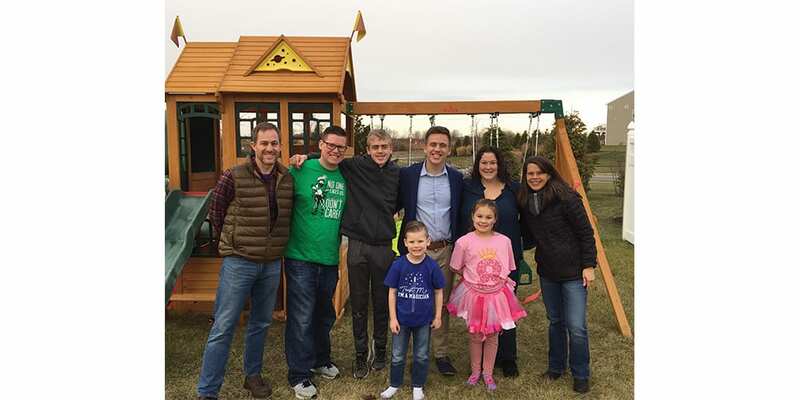 On Jan. 12, 2019 at Scarlett’s magic-themed eighth birthday, the Redkoles officially dedicated the swing-set to Jake and Luke. They included a plaque which reads, “Keep the Magic Strong,” A play on Jake and Luke’s last name, and more importantly, a reminder to never lose faith, stay strong and always believe in the magic of good people.